Home / Piracetam / Is Piracetam Legal in Australia? 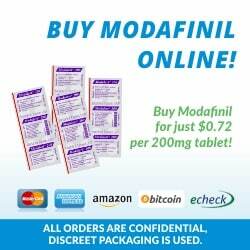 Yes, Piracetam is legal in Australia, under the brand name Nootropil and is approved for treating epilepsy in combination with other medications. It is currently a Schedule 4 Prescription Only Medicine as regulated by the Australian Therapeutic Goods Administration (TGA). This means it is legal to own and consume in Australia, but a script from a doctor is required. Many top experts including renowned neuroscientists, and pharmacologists, agree that this is extremely restrictive and short sighted by the governing body. Piracetam’s huge body of evidence showing positive effects in many different areas, combined with a high level of safety, stands in stark contrast to many legally available agents such as alcohol, & cigarettes, that have numerous well documented ill effects. 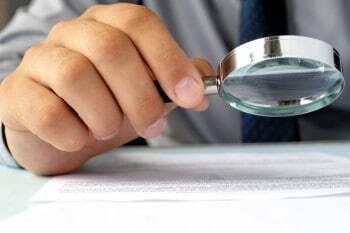 First and foremost this website is purely informational and provides guidance only, and does not constitute formal regulatory or legal advice, nor should it be considered such. In addition these rules are subject to change. For this reason we recommend for an official opinion you contact your doctor and/or the TGA and DoHA. Piracetam is a Schedule 4 medicine. This page has a long list of substances that are ‘Prohibited Imports and Exports’ and Piracetam is not listed on this page. So based on this Piracetam falls under the personal importation scheme, as it is not listed on the banned list, and it is Schedule 4 medicine, therefor importation is legal for Australians. Originally posted on April 28, 2011, last updated on November 30, 2018. 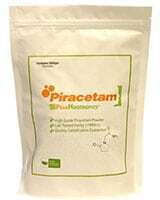 So what side effects/contraindications have been discovered with piracetam? People have different reactions to it but brain fog is common when trying to find a good dose or a few other reasons like lack of choline, head to longecity forums for all the info nootropics. My Experienced NSW doctor can’t find Piracetam listed in his MIMS book. Did you check under Nootropil? It also goes by other trade names including Breinox, Dinagen, Lucetam, Nootropyl, Oikamid, and many others. I have access to MIMS and can’t find Piracetam or its variants. So let me get this straight, it’s legal but need prescription to obtain it? So how do you suggest I should go about getting it? I’m fr Perth Aust.. I have also just ordered from Peaknootropics how long did your order take to come through? And ahs anyone ordered from Absorb health? hey. Just thought you might like to know that Piracetum is a schedule 4 ingredient which means that supply without prescription is illegal. Also if you check the Therapuetic Goods Act, I’m pretty sure that its also illegal to advertise schedule 4 medicines. I’m 47 We used to live in Europe. In Europe is not scheduled.I used to take Nootropil 1200 mg tablets 2-3 a day usually to maintain a good memory. In university when I had to study hard for exams I used to increase it to 5-7 tbs /day with no side effects. It has a very good effect on memory. You just remember stuff, can keep you alert and focused for longer.This only happens if you eat well and drink plenty of water. This drug won’t replace good food and water. After the exams you go back to 2-3 a day. Just wondering if anyone know whether piracetam has long term cognitive benefits after discontinuing use? Or do you have to keep taking it for ever to have the positive benefits.